MyPDB: Keep up-to-date with new structures... automatically! We'd like to learn more about how our readers use this newsletter. Do you read the regularly printed version of the newsletter? What types of articles are you interested in reading? 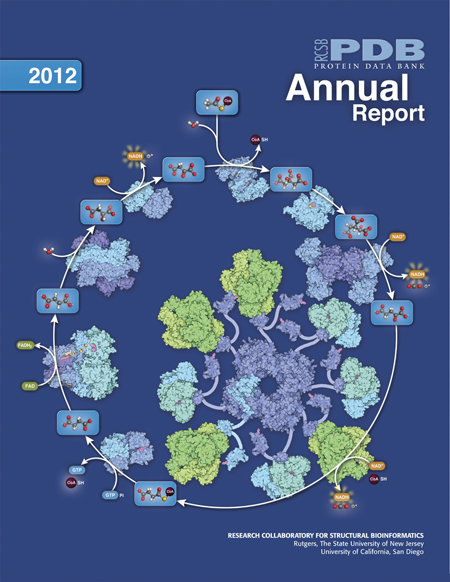 The 2012 Annual Report can be downloaded at www.rcsb.org/ar12. The cover highlights the proteins and chemical reactions involved with the citric acid cycle.